Identifying entire projects and the method of double validation guarantee a perfect match between the suppliers’ skills and the buyers and decision-maker’s requirements for their projects. Up to 20 targeted B2B meetings per attendee with premium networking opportunities. Register, access your member area and fill in your technical profile, including competences and experiences. Choose your package of participation. Your registration details will be provided to the organisers of the event for validation. 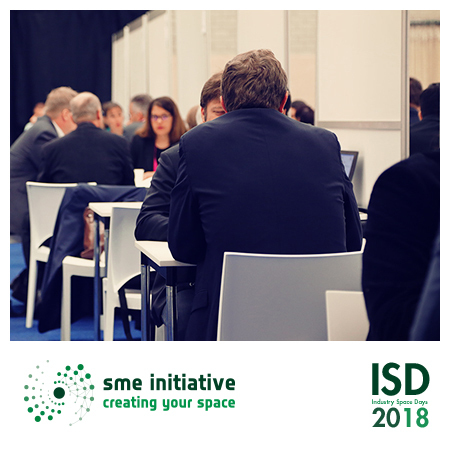 One month before the event and after the opening of the online catalogue, browse and select the companies that you would like to meet with and send them a meeting request. You can add a message explaining why you wish to meet with them. Each participant has the possibility to ask you for a meeting: you can either accept the request or decline it. • Make sure you have correctly understood the demand. This will reassure your contact and prevent misunderstandings. • Your contact expects you to demonstrate the benefits of your solution. You must therefore focus on the advantages (technological, financial, human, etc.) to be gained from your service. Make sure to bring your presentation brochures and any other marketing materials, such as a flash presentation, which might help you to better convey your message. • Avoid too technical demonstrations if not asked. If you feel that your contacts are not interested, remember that they are the only ones to judge whether your solution is adapted to their need. • Try to identify beforehand your interlocutor and adapt your argumentation accordingly. out to be matching, start defining the conditions for the subsequent collaboration. explain why you are refusing the offer. How To Make the Best of Your Meetings Carefully read over your contacts’ technical forms and prepare your speech accordingly. • 2 minutes to conclude. Thus you might need to prepare your speech by focusing on the basic information that will enable your contacts to quickly identify the possible points of convergence with their requests or demands. Do not forget that your interlocutors have read your technical form and have accepted the meeting. So the detailed company presentation is not necessary.